However, the concept that characters should be able to be rolled up and ready to play in 15 minutes suffers from a fatal flaw, and it’s a flaw not in rule design but rather a matter of resource limits: There’s only one rulebook. And since you can’t buy rulebooks separately, the beginning of your Gamma World session is likely to involve a fair amount of book passing. 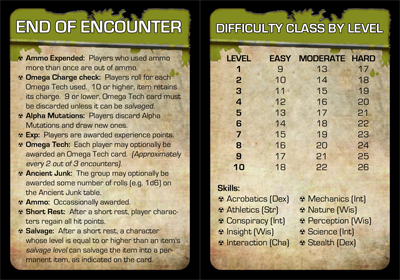 To address this issue, and in keeping with the card theme of Gamma World, I have produced a series of Gamma World Character Origins Cards intended to be printed and handed out to players when they’ve rolled for their origins. 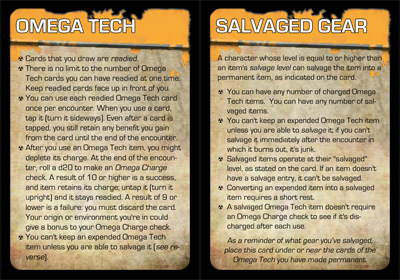 These double-sided cards reprint almost all of the information found in the origin section of the rulebook, including the origin’s name, description, full trait information, critical hit ability, and power names. They contain all the information a player needs while creating their characters and serve as a handy reference during play. Since power descriptions are too lengthy and really deserve their own cards, I have only included their names (For power cards, I recommend these fantastic cards by AH_Anarchy). 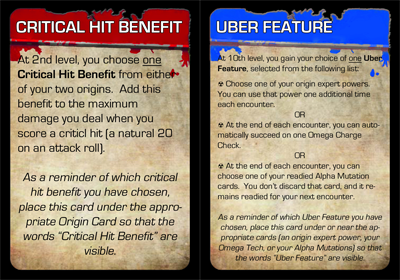 The cards are standard size (2.5in x 3.5in), come 9 per sheet, and are intended to be printed with the descriptive information on one side and the trait information on the other. 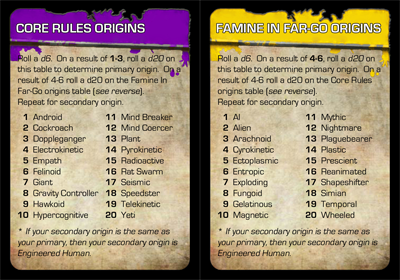 You’ll probably want to print a few copies of each to have enough to pass out when players roll duplicate origins. Update: This post applies to the downloadable Character Builder which is no longer officially supported. 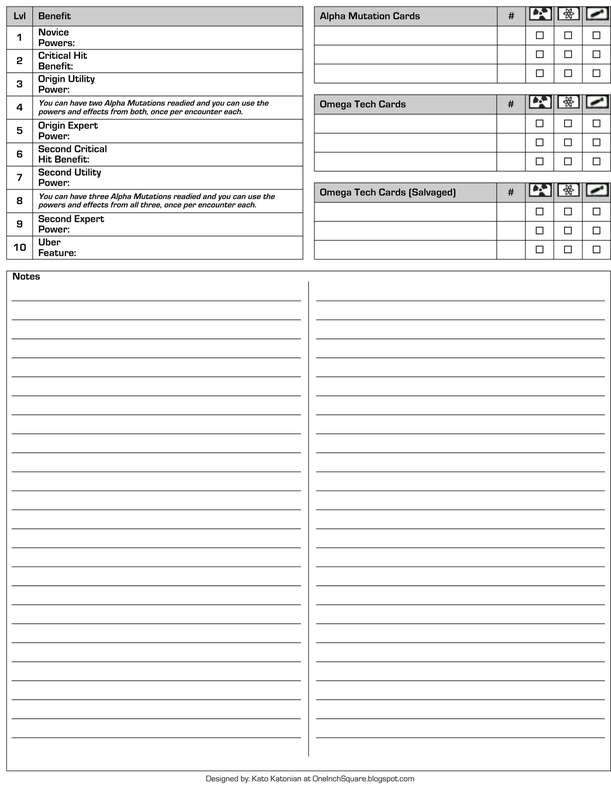 The 4th Edition D&D Character Builder is great software tool for creating and printing your character sheet. 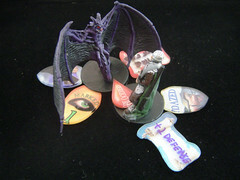 One of the best features is the ability to print your power and inventory cards for use at the table. 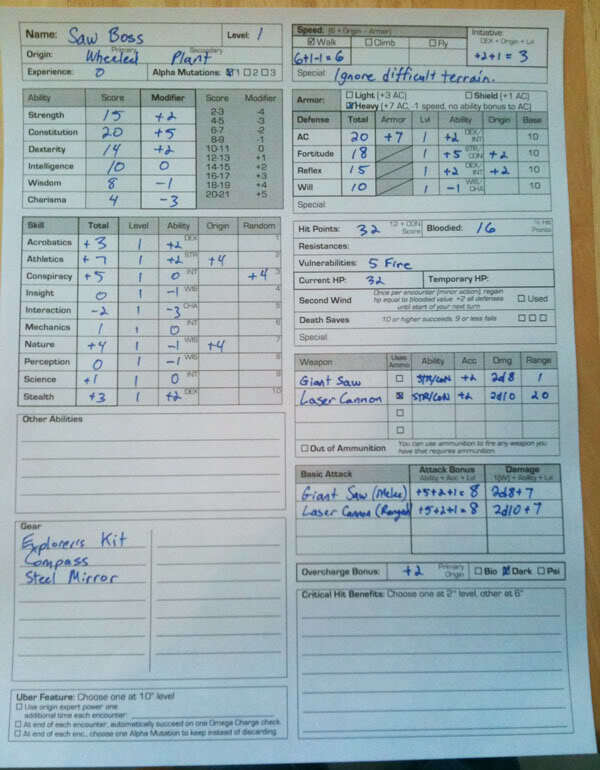 Although the Character Builder has an option to print a page of blank power cards, it lacks the ability to print blank magic item cards, and sometimes as a DM (or a player) it’s handy to have some blank cards around just in case. Fortunately, there is an easy way to get around this limitation. Fire up the Character Builder and load a character. 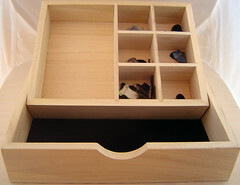 Click on the Shop tab. At the far right where it says “Equipment and Magic Items” you’ll notice a little house icon with an H inside it. 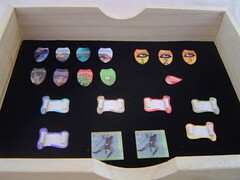 Click this and choose Create Custom Element. Since you can’t create an item with no name, simple click on the Name field in the popup window and enter a single space. Near the bottom, be sure to check the Item Card option. Click the Save button and voila, you’ll have a blank magic item card when you view the character sheet. 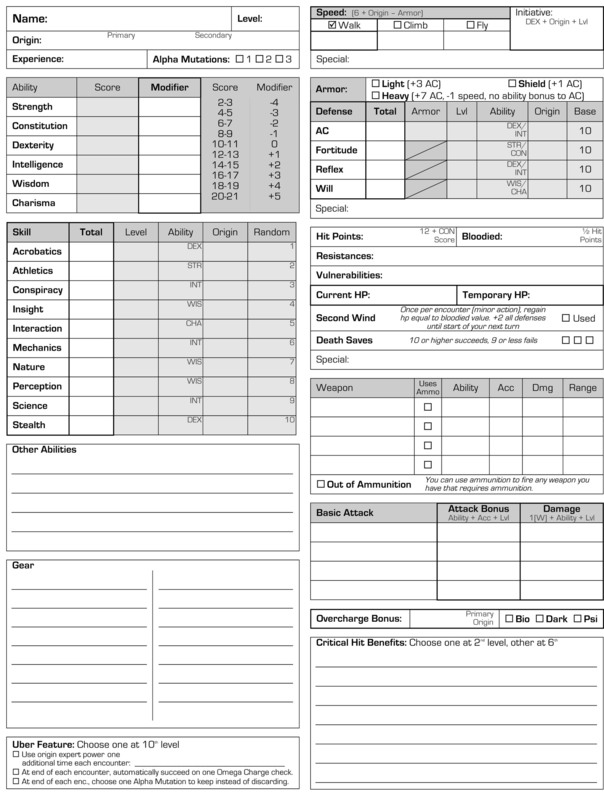 If you want to print a whole bunch of them, just find the blank card on the character sheet, right click, and choose Duplicate until you have a many as you like. Creating a blank non-magical item card is a little trickier, but can still be done. In the Character Builder, click on the Shop tab. You’ll have to find a nonmagical item to add to the character’s inventory. Choose Adventuring Gear from the “Item Categories” and then find the Candle in the “Item” list. Click the Add button to add this to the inventory. Find the Candle in the “Your Equipment” list, right click it, and choose Customize Item. In the window that pops up, erase the name candle in the “Name” field and enter a single space. Make sure “Item Card” is checkmarked and click the Save button. You’ll now have a blank non-magic item card in your list of power cards on the character sheet (you make need to go to Options->Show Normal Item Cards in the character sheet to be able to see it). Again, if you want to print multiple cards, just find the blank card on the character sheet, right click, and choose Duplicate until you have a many as you like. Caveats: These two methods aren’t perfect. The blank magic item card will have a quantity of “1” and weight of “0” printed on the card. The blank non-magic item card will have a quantity of “1” and weight of “0”, as well as “PH” written in the “Book” field.